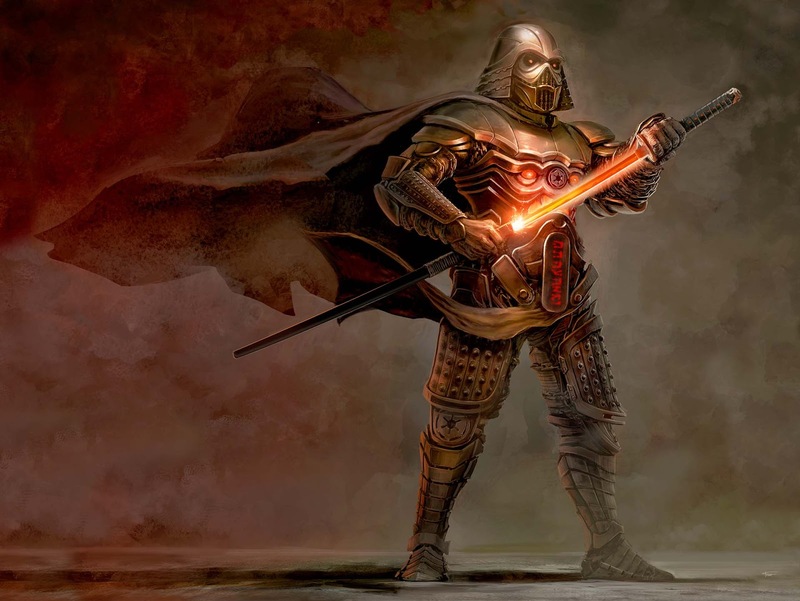 What if Darth Vader lived in Feudal Japan? waw, that's possible to buy it like a giant poster ? Yes I have 13x19" prints for sale at 30 us dollars shipped. The link should be up tonight. It will be through Ebay. Do you have higher resolution from this ? Could be an epic wallpaper ! I can do custom prints as well. Just let me know what size you are wanting and I can get you a quote. Oops, I wasn't really clear last time, I would just like a numeric version for my computer if that's possible, my resolution is 1920x1080 and I would be really thanksfull if you could give me this ! Hi Alexandre. Unfortunately I can't send out my high res version only because I'm trying to generate some funds to purchase a new wacom tablet. My is almost 10 years old and is not working any more. So I need to keep those assets close to home. Sorry man. I really wish I could but I have to take care of business first. It's the only way I can keep doing my art. This is amazing. I saw it featured somewhere and followed the link here just to tell you how I like the work you've done on re-imaging those characters. I really wince to tell you this since apparently you've already made prints but if you really want to make it accurate, the Kanji you've used on the belt are flipped. I'm not sure how you found the Kanji and perhaps you accidentally flipped it right to left when you were in the middle of your Photoshop manipulations or else you transcribed it incorrectly. But anyone with any knowledge of Chinese/Japanese characters will snicker a little bit when they notice the belt detail. I wanted to let you know in case you feel you should correct it. Thank you Kainee. I have corrected it already. Thank you so much for pointing that out. That is a easy thing to miss for me. Are you still selling any of these prints? I would love to purchase one. Hi Albert sorry for the late response. You can go to www.clintonfelker.com to get one. I will also be at the Phoenixcon this year and I will have lots of prints for sale there as well. Please email me if you have any questions.